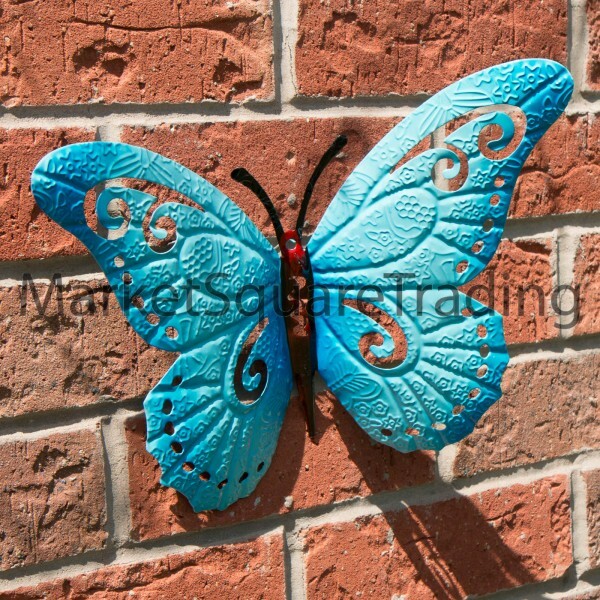 These garden wall decorations do look great in any garden, patio or conservatory etc. Perfect to compliment your garden in the summer months or to add colour on those dull winter days. Click the small pics on the left for a closer enlarged look. 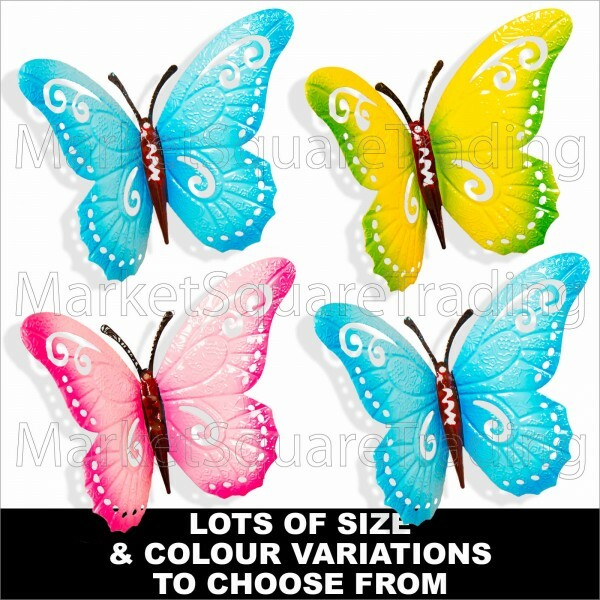 These butterflies are frost and weather resistant and also look very nice hung indoors.Girls and boy's bedrooms ect. Bold and bright they are sure to attract attention hanging on a wall, fence, shed or just hagging around in a bush or tree. Please select your size and colour from the drop down menu. I have took a lot of photos on the brick wall to give you a bit of a size reference against the size of the house bricks. You will receive the multi colours as shown in the picture you selected. I have tried to take top quality pictures but these butterflies do look a lot more vibrant in true light as the pictures dont quite do them justice as to how nice they actually are. 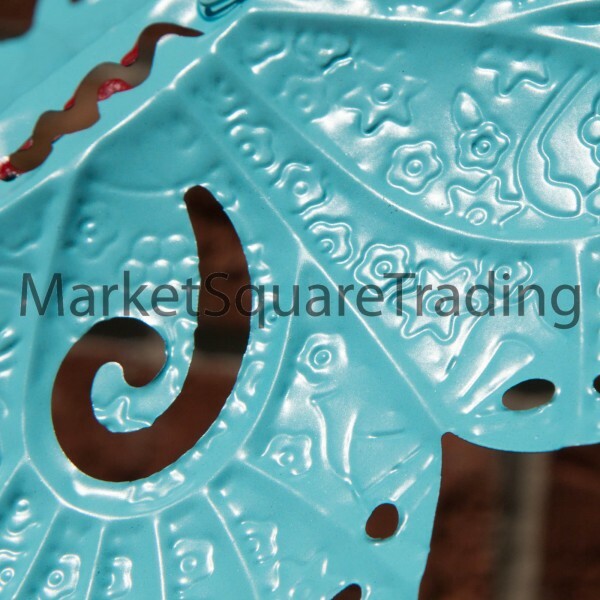 Please note that all the butterflies are hand painted and finished so there maybe slight imperfections in the finished look of the paint, do not let this worry you at all as they all look lovely when hung up in your garden. Please take five minutes to read the feedback of all the happy customers that have already purchased them and a lot have reordered. Please feel free to browse my store for more designs, garden ornaments and decoration.We will be adding ornamental animals weekly to or selection. 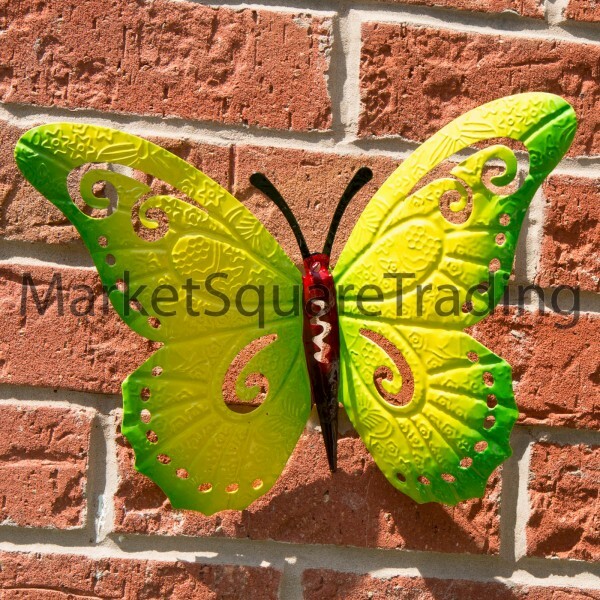 These garden wall decorations do look great in any garden, patio or conservatory etc. Perfect to compliment your garden in the summer months or to add colour on those dull winter days. Click the small pics on the left for a closer enlarged look. 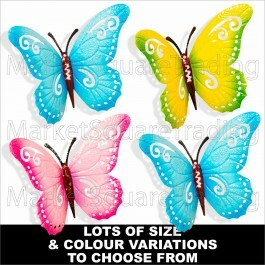 These butterflies are frost and weather resistant and also look very nice hung indoors.Girls and boy's bedrooms ect. Bold and bright they are sure to attract attention hanging on a wall, fence, shed or just hagging around in a bush or tree. Please select your size and colour from the drop down menu. I have took a lot of photos on the brick wall to give you a bit of a size reference against the size of the house bricks. You will receive the multi colours as shown in the picture you selected. I have tried to take top quality pictures but these butterflies do look a lot more vibrant in true light as the pictures dont quite do them justice as to how nice they actually are. You will see a couple of pictures in the listing that are of the other colours available in my other multi listing in my shop on this link.